BrightRED Study Guides for National 5 help you develop and apply invaluable knowledge and skills for your SQA exams. National 5 courses are made up of a number of Units and a Course Assessment. The Course Assessment consists of a question paper exam and/or coursework such as assignments, portfolios and practical activities. Our National 5 Study Guides cover each of the mandatory units and also include an extensive Glossary of key terms. These full-colour books cover all content in an easy-to-learn format and are packed with BrightRED features including Don't forget text boxes for key points and Things to do and think about questions and exercises. Every National 5 Study Guide is also fully supported with lots of free online links, tests and activities at the award-winning BrightRED Digital Zone. 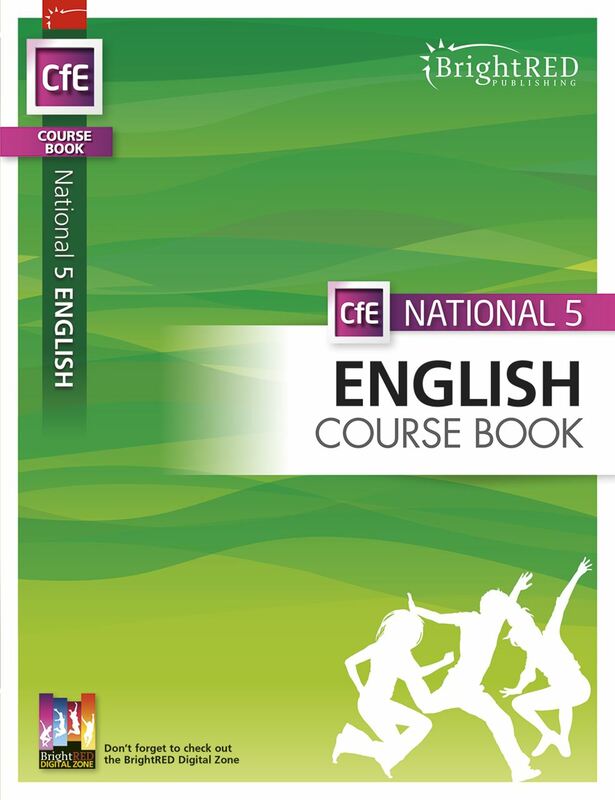 Our first full course book for National 5 English offering complete course coverage. 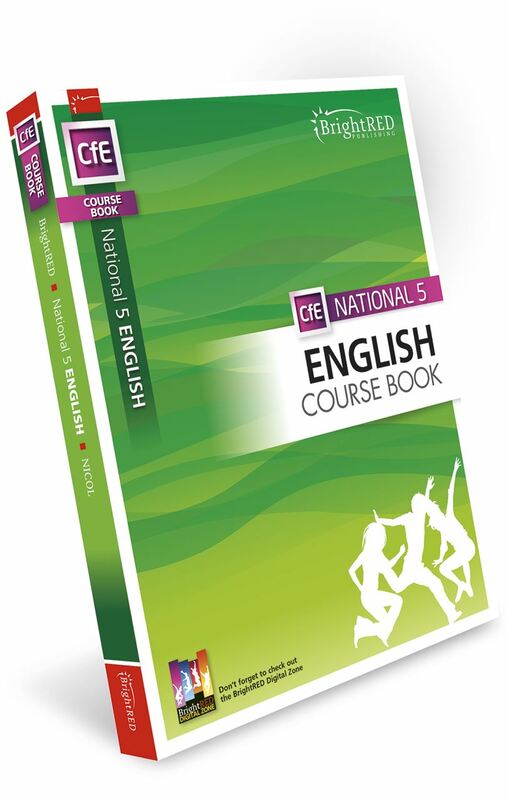 This National 5 English Course Book has been carefully structured to cover all aspects of the knowledge and practice you’ll need come exam time. In very straightforward language, we’ll talk you through the complete course, from taking your first tentative steps in National 5 work to tackling exam-type practice tests with real confidence. Our carefully prepared tests for Reading for Understanding, Analysis and Evaluation and for Critical Reading of Scottish Texts mirror the format and wording of the actual exams. And just to make sure your knowledge is fully secure, you’ll find further exercises you can do at home to make sure your new information is as firmly embedded as you think it is. Teacher's Notes and Online links can be found in the Download Files tab above. What's coming up? These explain what you can expect in each chapter. SQA-style topic tests These are at the end of each chapter and are the perfect opportunity to practice answering questions ahead of the exam. Glossary This contains key terms to explain important concepts that you will need to know for the assessments and exam. 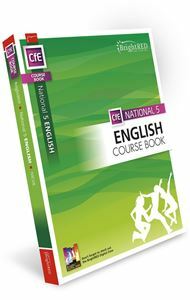 What's the difference between our National 5 English Study Guide and our National 5 English Course Book? Has a number of features including Don't forget pointers, Things to do and think about and a Glossary Contains similar features to the Study Guide but also has Homework helpers, Classroom challenges and What's Coming Up and How does that Work?